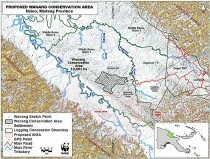 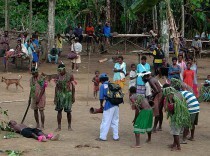 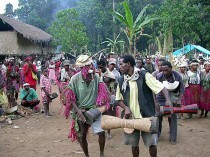 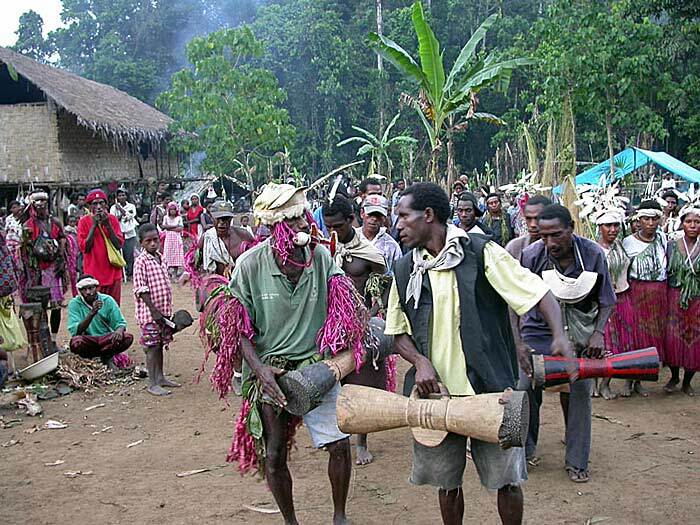 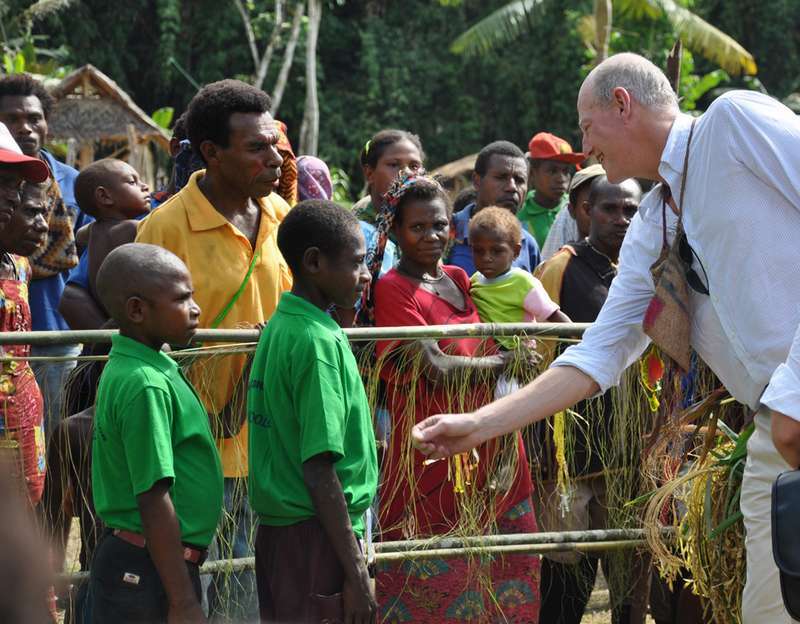 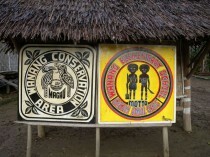 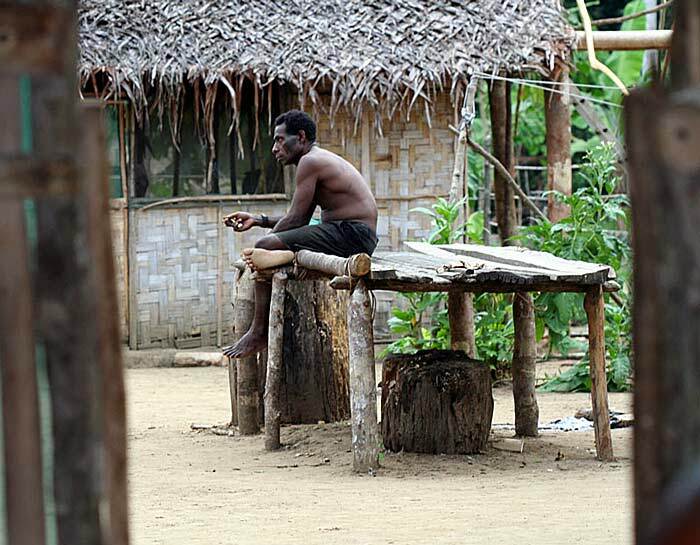 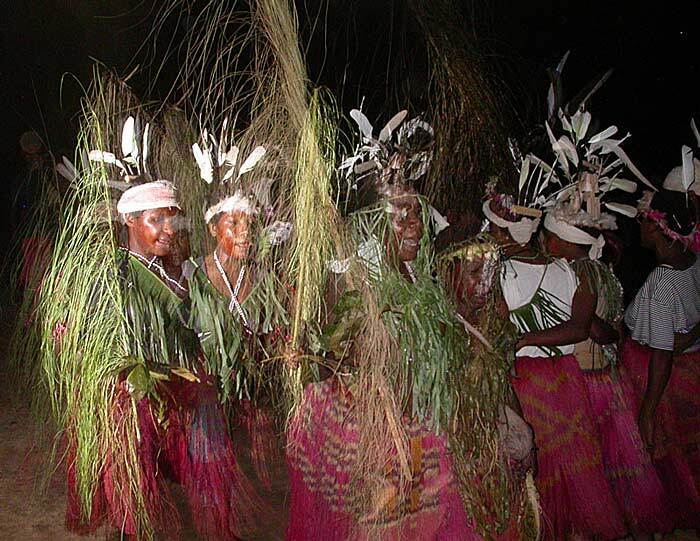 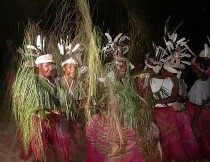 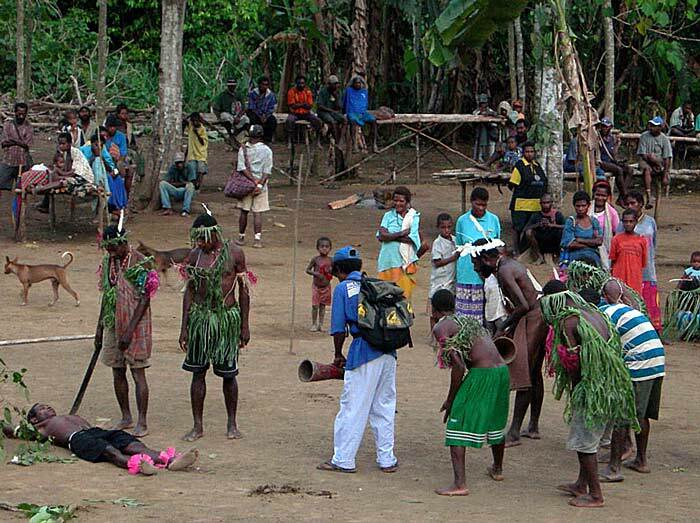 Community research and conservation in Wanang Village. 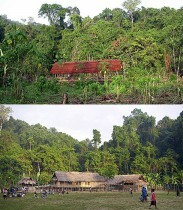 Before and now: First steps in building BRC field camp in Wanang, and its current situation. 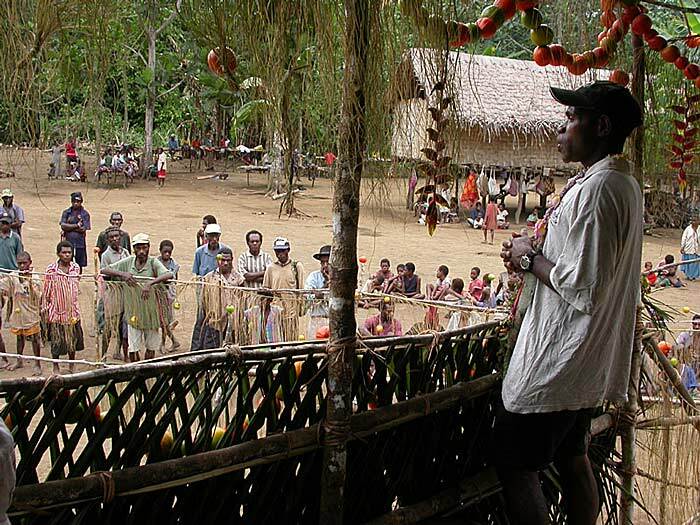 Philip Damen, the visionary bigman leading the Wanang community towards forest conservation. 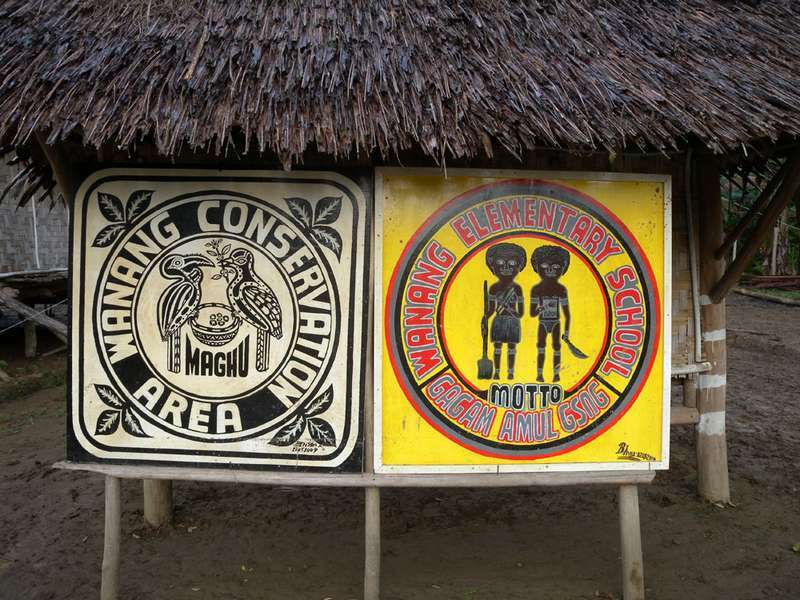 Paraecologists Maling Rimandai as an ad hoc teacher in provisionary elementary school in Wanang. 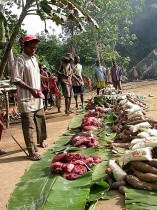 The new research project could not be opened without a proper feast. 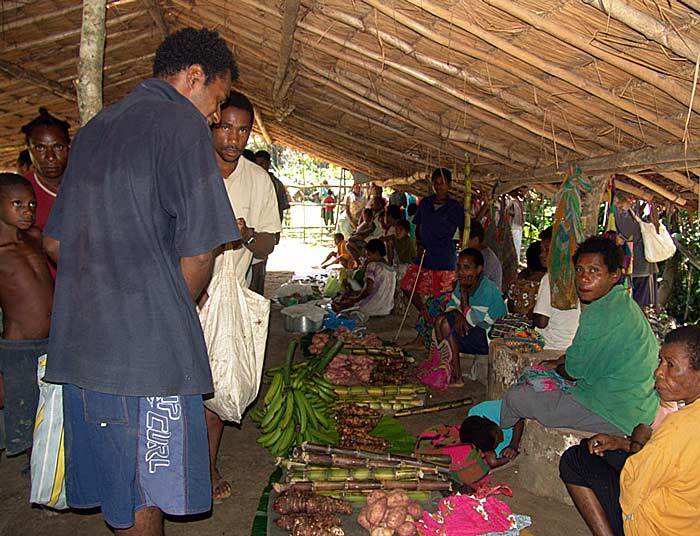 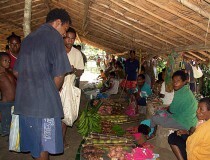 With improved income opportunities, there is also a new village Sunday market. 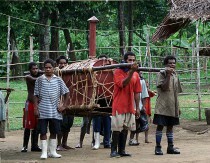 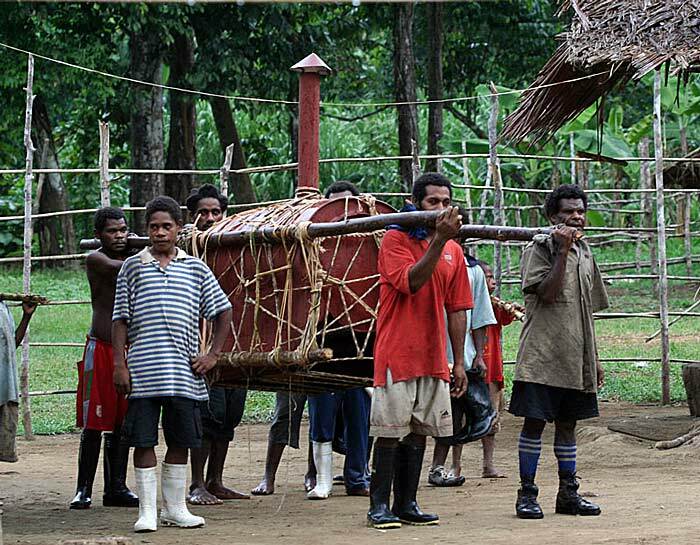 New technology comes to Wanang - oven for baking bread had to be carried 15 km through the rainforest. 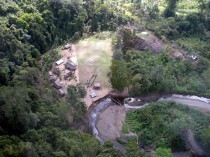 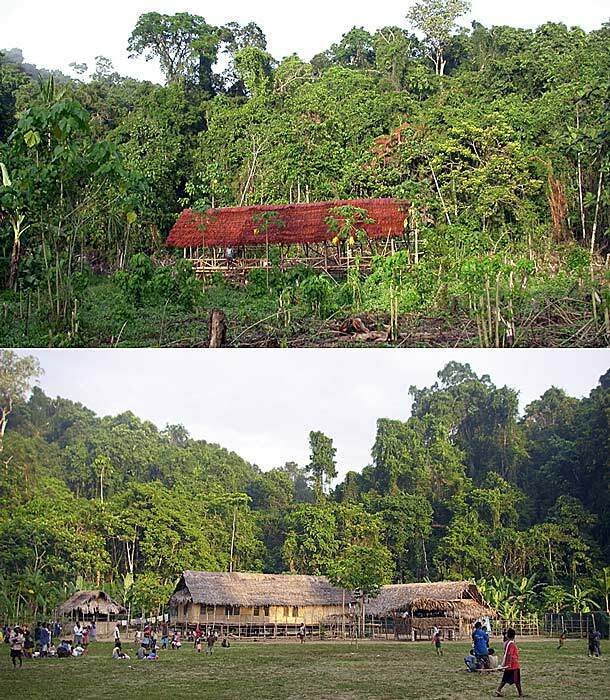 Wanang village with classrooms built from traditional forest materials, on the edge of the Conservation Area. 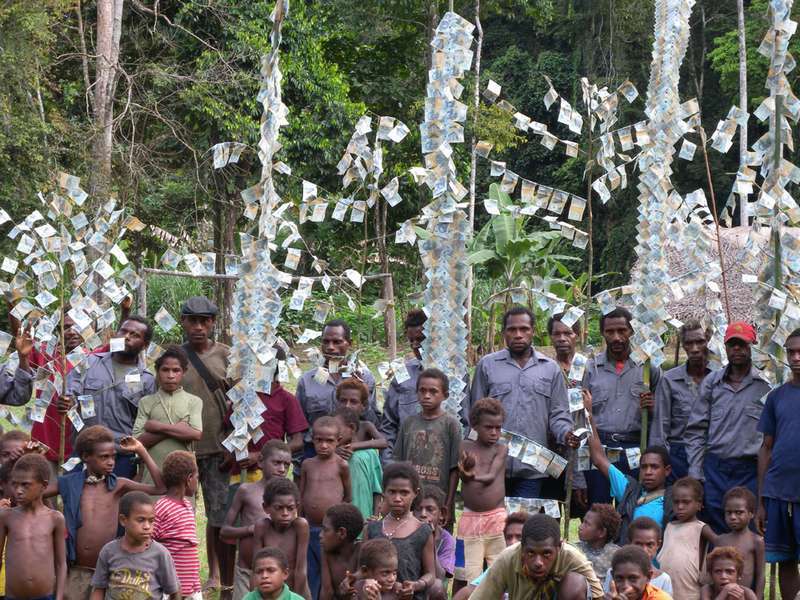 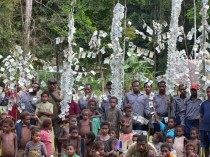 Royalties paid to 10 Wanang clans for their forest conservation, displayed in traditional fashion (each K10 banknote is approximately USD 3). 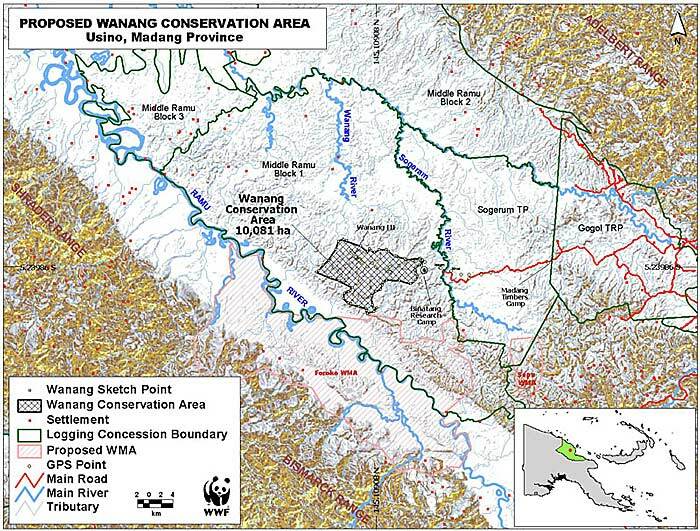 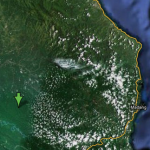 Forest conservation and school are obviously connected in Wanang. 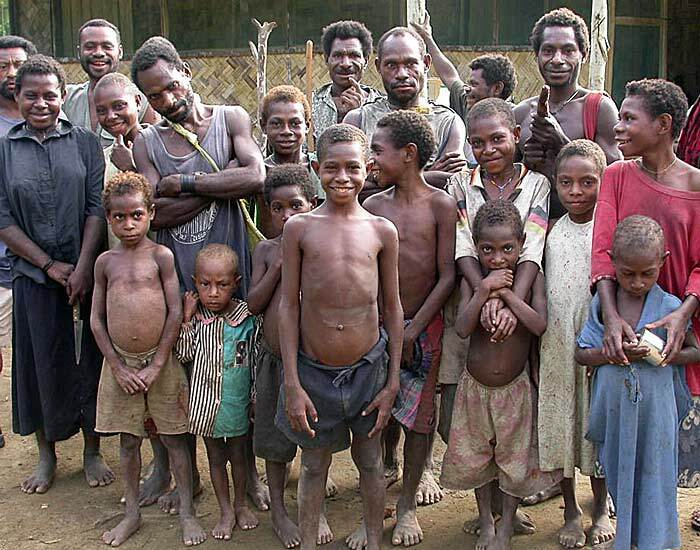 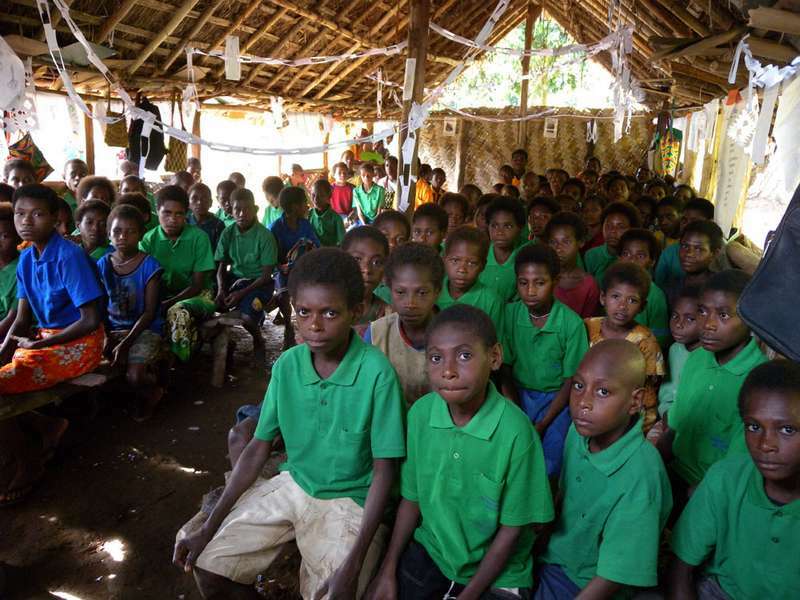 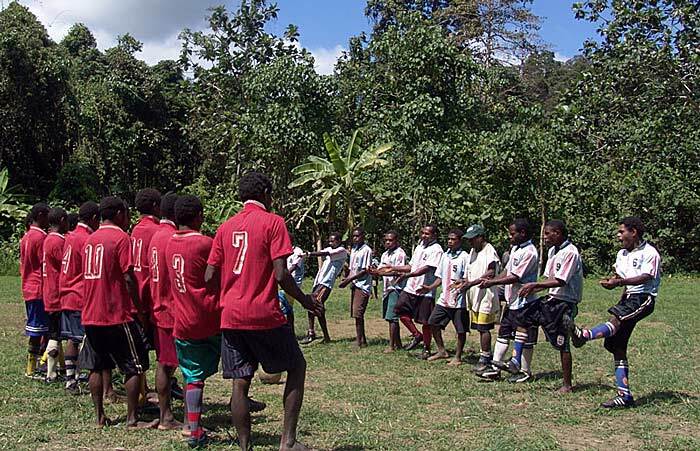 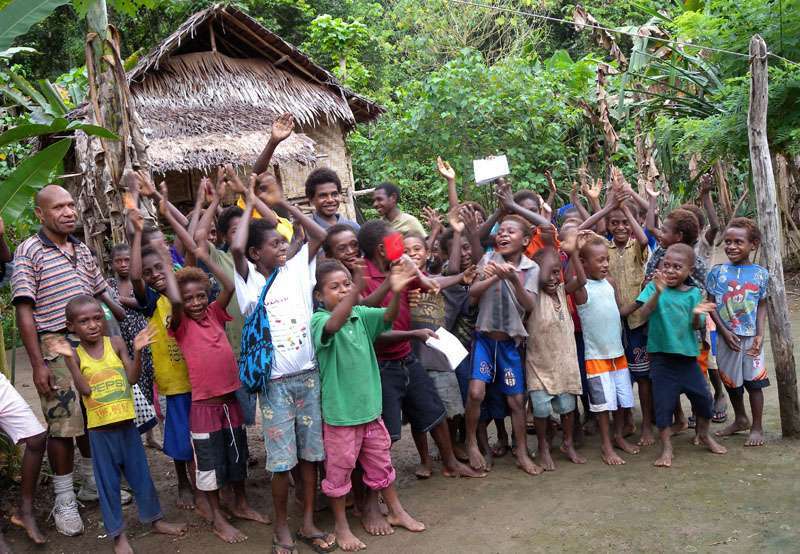 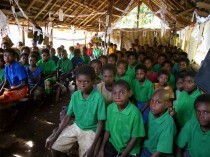 Assembly of children attending the Wanang school – some of them from villages two days walk away. 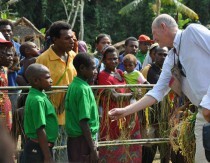 Bill Rothery, the CEO of Swire and Sons Australia, visiting the school sponsored by his company. 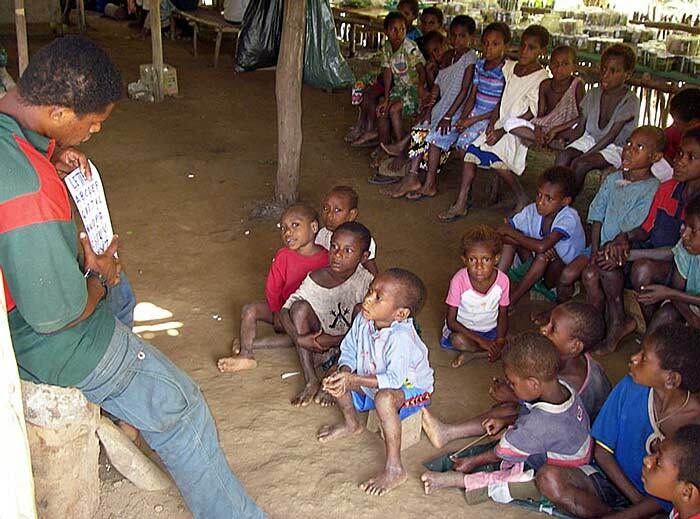 Children with their teacher in front of their classroom.